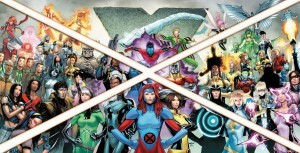 Nowhere was the contrast between orthodoxy and originality more obvious than in X-Men Gold and X-Men Blue, the former so by-the-books that it left fans yawning, the latter so weird and unconnected to familiar characters that it came across as a successful Exiles book filled with alternate reality characters than a flagship X-Men title. The new Uncanny X-Men seems an attempt to merge the worlds of orthodoxy and originality, realigning the franchise in a way similar to the 1991 adjective-less X-Men launch, a return to fundamentals with some weird new things on the horizon. But while Uncanny lays the groundwork for things ahead, there are some strange familiarities, at times wonderful, at times “Haven’t we done this before?” inducing. As Jim Doom told me, there are plenty of psychics getting blocked by some unknown mechanism. There’s a return to classics looks and classic characters, though that can be a formula for success … such as Morrison taking a team of mostly-conventional characters and churning them through a science fiction lens. Which, apparently, people hated. Successive years of X-Men have attempted to build on the house that Chris Claremont built, a sprawling story that included, at one point, no formal X-Men team before bringing things back together (through Marvel edict, partly.) Thus is the cyclical nature of the X-Men. The mansion is destroyed. It’s rebuilt. The X-Men break up as a team. They come back together. An X-Man dies … but only for a limited amount of time. 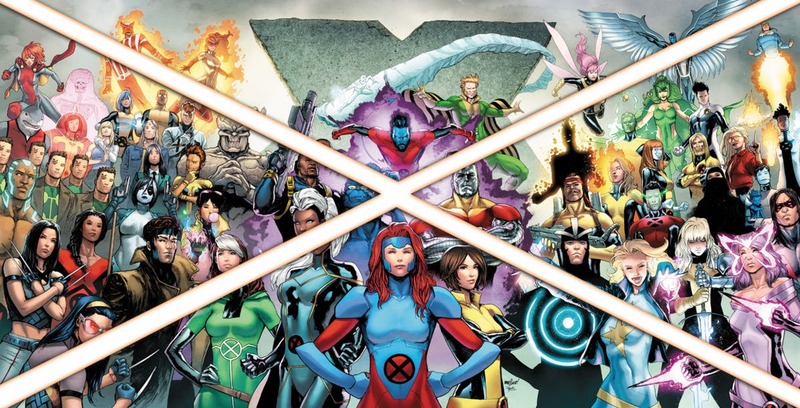 For this realignment, we’re not only seeing the return of the long-dead Jean Grey (who has had a moment to shine in the quite-good X-Men Red), but, on the horizon, the return of Cyclops and Wolverine, as teased after the first ten Uncanny issues wrap up and it’s up to them to save the team. This, of course, happened during the Eve of Destruction event, when Jean Grey and an ad hoc team of X-Men attempted to stop global annihilation at the hands of Magneto as a recently-returned Cyclops teamed up with Wolverine to infiltrate from literally under Genosha. There’s an understandable impulse to return to the franchise’s glory days and build some wild things from there. There seem to be some “what’s old is new again but way weirder” things on the horizon (a Rosenberg speciality) and plenty of fan service and odd juxtapositions (Thompson’s wheelhouse) but they, too, involve a return to old stories—in this case, Age of Apocalypse—in order to draw back in fans. We’ll be sure soon enough, given the weekly pace, how the X-Men are shaping up, and once the first 10 issues are done, we will be able to see how the pieces are assembled back together. A broken up X-Men. Two members bravely keeping the light alive. It could be some time before we see how the X-Men will shape up. Let’s hope it’s a ride original enough to be worth the trip.